Shelve your fears and fly high for The Fed! 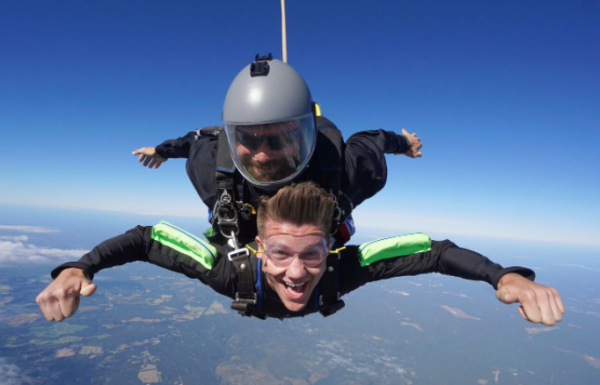 Climb to 11,000ft and come back to earth in the most exhilarating way imaginable, reaching speeds of around 120mph with your BPA Instructor, after free-falling for half a minute. The event will take place on Sunday 23 June in Lancaster. Booking fees are £230pp with a minimum sponsorship of £250. Contact zoe.h@thefed.org.uk or 0161 772 4967.